It’s a wrap! – A wrapping party to celebrate the end of our year-long Shoebox project! The Vancouver Regional Women’s Committee invites all women to help wrap shoebox gifts that will be distributed to women who are homeless or at risk of homelessness in communities. Each thoughtfully created and decorated Shoebox is filled with items valued at $50 that can enhance self-esteem and reduce feelings of isolation for women in crisis. Our committee has been fundraising through knitting sales and gathering donations all year-long and on November 15 we want to come together, have fun and put the shoeboxes together (just in time for Christmas). We would love to have you join us! Interested in making/donating a box? Please go to http://psacbc.com/shoebox-project for more info on how to support before November 15. Otherwise RSVP and come to the wrapping party. We’ll have plenty of appetizers to fuel you throughout the evening. Join the Vancouver Area Council for our annual softball tournament, free BBQ, and membership appreciation event! August 25, 2017, first game at 9:15AM BBQ being served after throughout the day. Douglas Park 801 W 22nd Avenue, Vancouver. 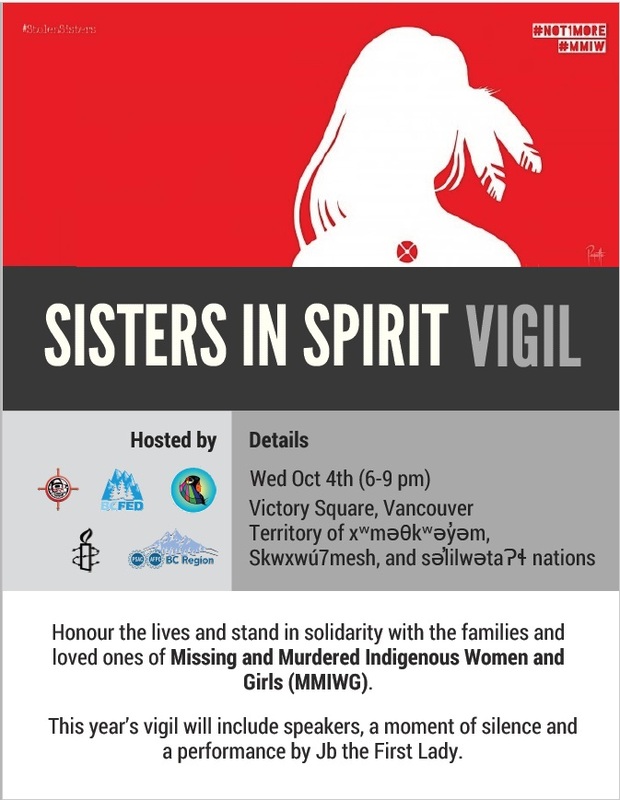 The event is sponsored by the PSAC Vancouver and District Area Council and open to all members and their families. Please RSVP via email to Crystal.Isaac@gmail.com for which events you will attend ie. both of them, or just the BBQ or tournament. A $10 registration fee applies to those participating in the tournament. Friends and family welcome to join in as well! Please bring cash for the registration fee or a cheque payable to the PSAC Vancouver Area Council. All proceeds from the registration fees will be donated to the Metro Vancouver Alliance. Please join us to learn more about the PSAC Response to continuing issues with the Phoenix Pay system. Special meeting for election of delegates to UNE Triennial Convention, Friday March 31, 2017, 4:30 - 5pm, Leylum. All members of PSAC Local 20150 are invited to the 2017 Annual General Meeting: Thursday, March 9, 2017, noon to 1:00 in Leylum. Scheduled for election are five positions. Once again, lunch will be served. 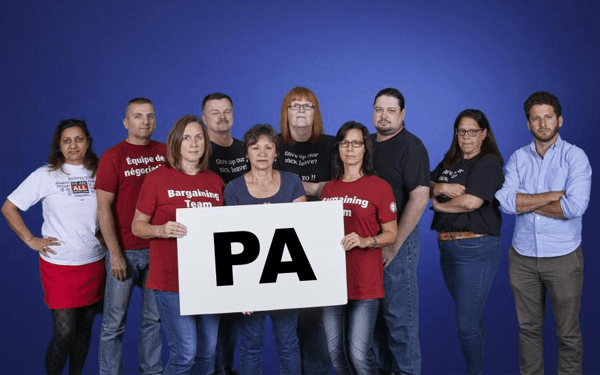 On December 17, 2016, a tentative agreement was reached for the PA group. Download the PDF summary with all the details of the agreement here. The sick leave articles of our collective agreement will remain unchanged. The parties have negotiated a Memorandum of Agreement to establish a Task Force to develop recommendations on measures to improve employee wellness and reintegration of employees. 4) will not be administered by a third-party provider. Personal and Volunteer Leave can each now be split into two periods. And much more, click on the link above for all the details. Congratulations and thank you to our bargaining team for all your hard work, especially to Sargy Chima (left in photo above) and Tracey Cochrane (third from left), local bargaining team members who have come to our office during lunch-hour sessions to update members on the bargaining process. Stay tuned for when and where information meetings and the ratification vote will take place. PS: more 2017 PSAC calendars are ready for pickup on top of the earthquake cabinet through 1101. The federal government is responsible for paying public service workers on time for the work they do. Unfortunately, the new Phoenix pay system is not working and hurting many public service workers. It is also putting excessive stress on the employees who process pay under the new system. We encourage our members and all public service workers to take action by sending a letter to Minister Foote urgently calling for the Phoenix pay system to be fixed immediately. 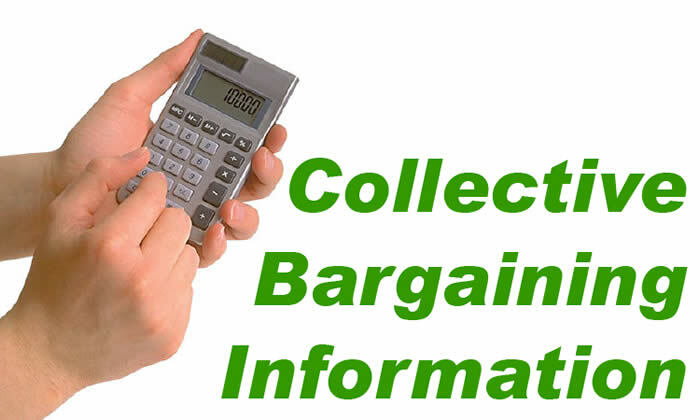 Please join us on Tuesday, September 20 at noon in Leylum for an update on the bargaining sessions that took place on the PSAC PA Collective Agreement the week of September 12. Sargy Chima, a new member to the bargaining team this year, will give us a first-hand account of what transpired in Ottawa. We also have a vacancy to fill, Jane Stoneberg has resigned her position as Human Rights Officer. We will therefore be holding a quick election. A current member of the executive will likely run for the position of Human Rights Officer, at the end leaving one vacancy to fill from the general membership. Please speak to one of the members of the executive for more details, which will also be available at the meeting. We are particularly interested in finding a young person (under age 35). Please consider running, it is a great opportunity to learn more about the union, about the workplace, and to make a very tangible difference. As usual, lunch will be served. On behalf of BC REVP Bob Jackson and Vanessa Miller, BC Regional Council Young Workers Coordinator, we are pleased to be sending you this Registration Package for the 2016 PSAC B.C. Regional Conference for Young Workers, which will be held November 26-27, 2016 at the Pinnacle Hotel Vancouver Harbourfront under the theme Up Next: Young Worker Leadership Summit. Introduction/Callout Letter, online at the regional website and attached to this email. We encourage you to personally inform young PSAC members in our Region to ensure they are made aware of this conference. Bulletin boards may not always be accessible and additional outreach is very important and appreciated. This registration package is available upon request in alternative format through the PSAC Regional Executive Vice-President’s Office by contacting us at 604-430-0191 or toll-free in B.C. 1-866-811-7700. 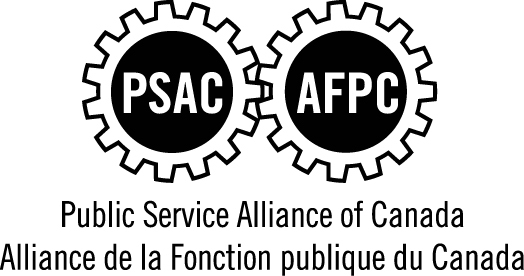 Gather PSAC young workers in B.C. to learn more about their union, including its work on young worker’s issues, from past to present. Provide an opportunity to hear from and share experiences and challenges with those in leadership positions in the social justice movement. Gain skills and tools on how to effect change inside and outside of the union. Challenge participants to develop their own leadership skills by organizing more young workers to be involved in the social justice movement. For more information and registration, see the attached Young-Workers-Conference-Call out.pdf or visit the regional website http://psacbc.com/.